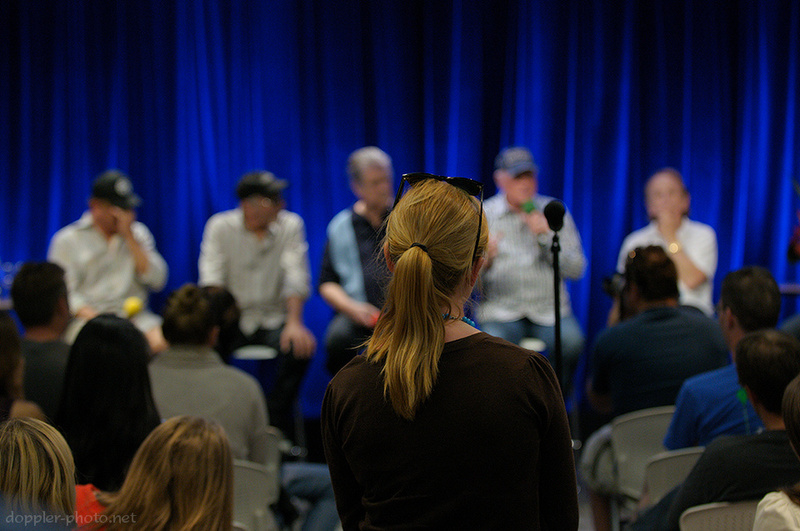 Googler Tim Quirk (far right) interviews the five surviving original members of The Beach Boys at Google's Mountain View headquarters. 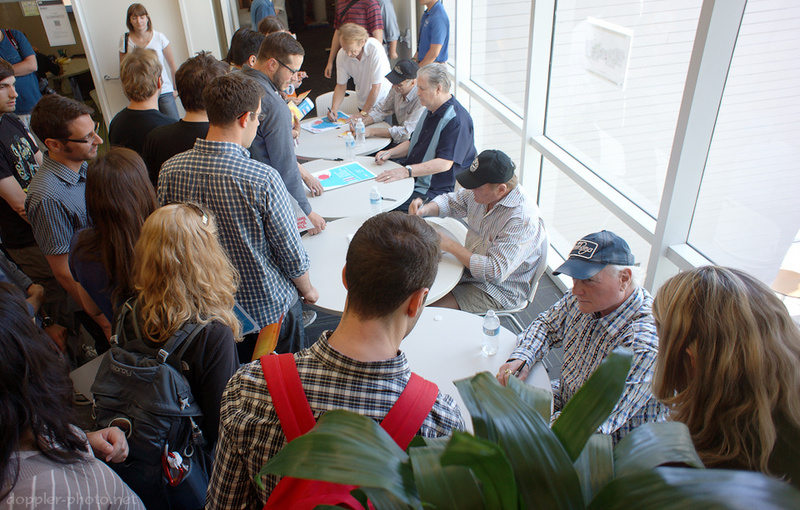 The band members are (left to right) Bruce Johnston, David Marks, Brian Wilson, Mike Love, and Al Jardine. The band is on tour to support the release of its 50th anniversary album, "That's Why God Made The Radio." It's pretty awesome to see and photograph a band that was so prolific, and that has become so firmly entrenched in our culture. I mean, 50 years, 29 albums, and (reportedly) 100 million albums sold; holy smokes. And clearly I wasn't the only one excited to be there, because the room was packed. An audience-member listens as Mike Love answers her question during the closing Q&A. Love seemed to do the majority of the talking when questions weren't specifically directed to other members of the band. Love glances at a member of the audience (lower-right) as the band-members sign autographs after the interview.